KNOWN YOU SEEDSSHEEJA-This variety is very early, & can be cultivated all year round. 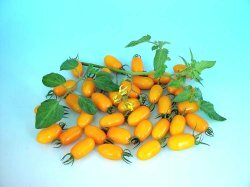 Fruit is attractive orange yellow color round, with very good crisp taste sweet and weighing 13gm each. Harvesting start from 80days after sowing.